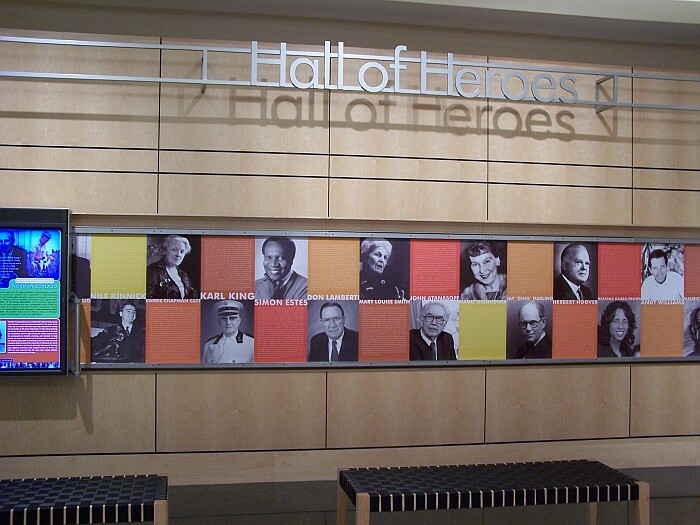 The Iowa Hall of Pride celebrates Iowans' triumphs and lives in a modern museum next door to Veterans Memorial Auditorium and the Wells Fargo Arena in Des Moines, Iowa. After nine years of work and maneuvering to find a site, the $12.5 million, 26,000-square-foot museum of Iowa achievement is finally open to the public. 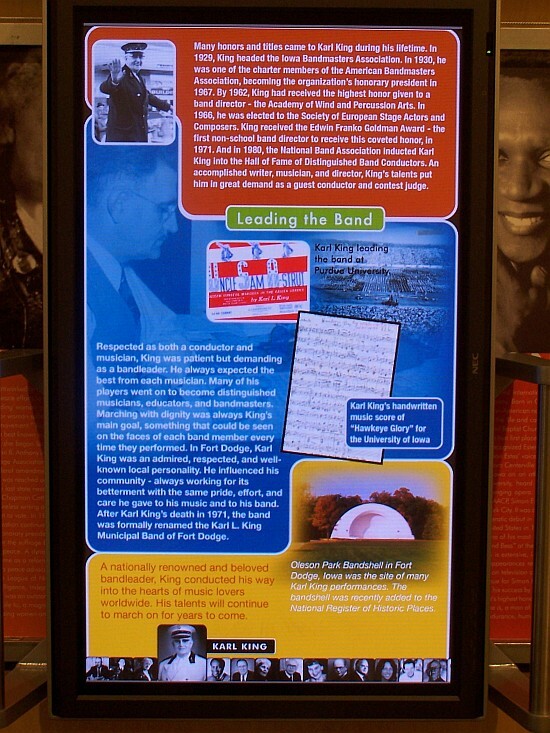 Twenty six exhibits celebrate athletes, scholars, musicians, debaters and cheerleaders. 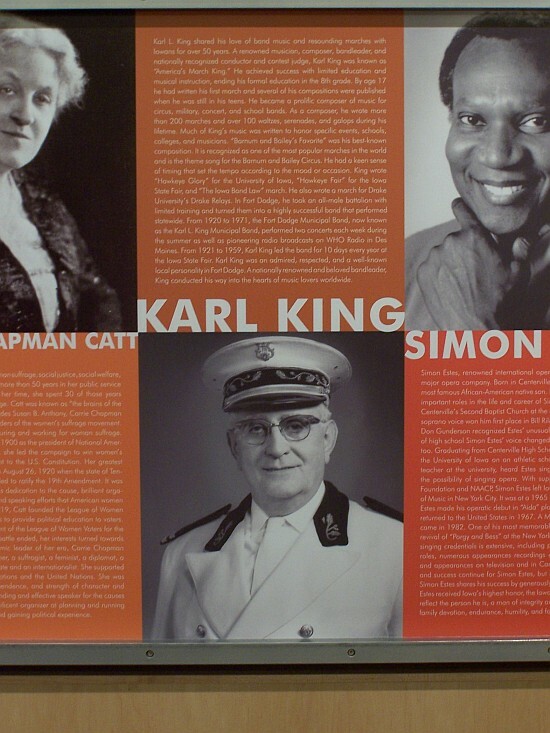 Included are famous Iowans who, among other things, created the first digital computer, composed famous music and won the Nobel Prize. 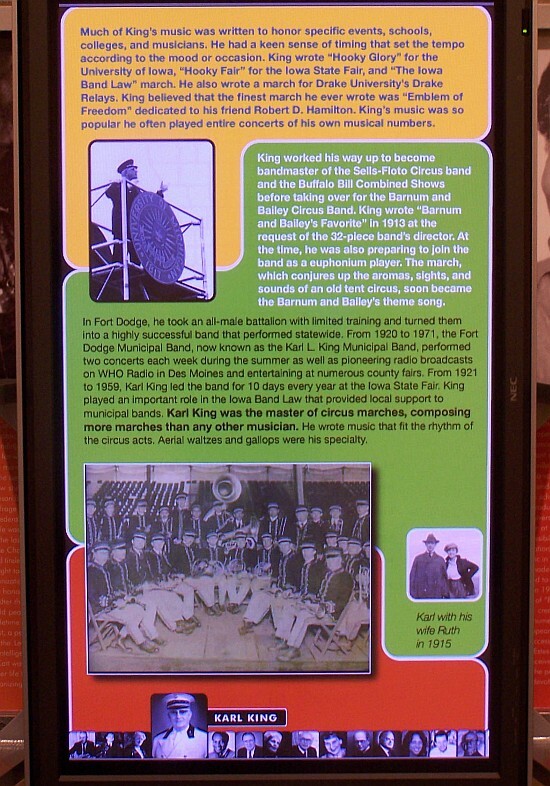 When Jack Lashier, the hall's director, discovered that 80 percent of Iowa high schools use one of three songs - Illinois Loyalty, On Wisconsin or Notre Dame Fight Song - he had the Jefferson-Scranton band, his hometown crew, record them for the home pages, displayed in seven kiosks. 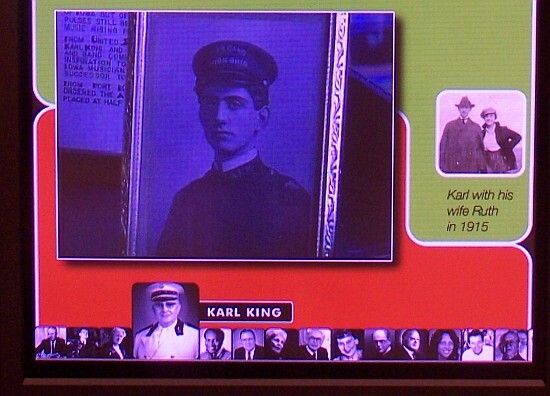 Schools also showcase their famous sons and daughters. Choose from 39 touch screens and 28 monitors to hear 107 interviews and play games designed to teach. 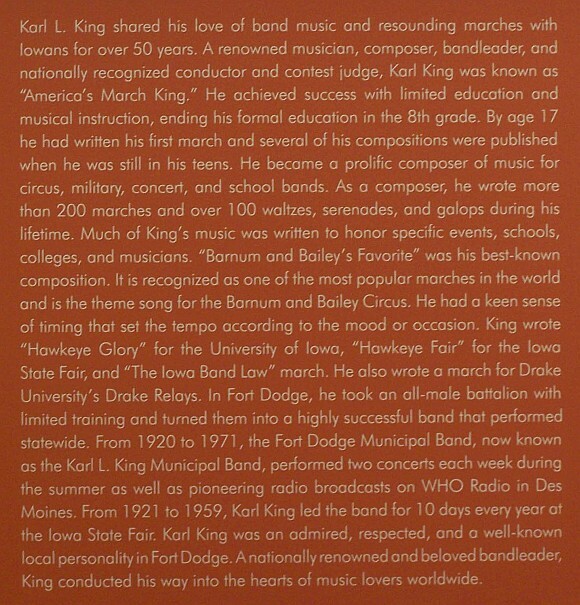 At the end of the trek through the displays, enter the Hall of Heroes, which has tributes to 30 notable Iowans, including one of composer Karl King of Fort Dodge. 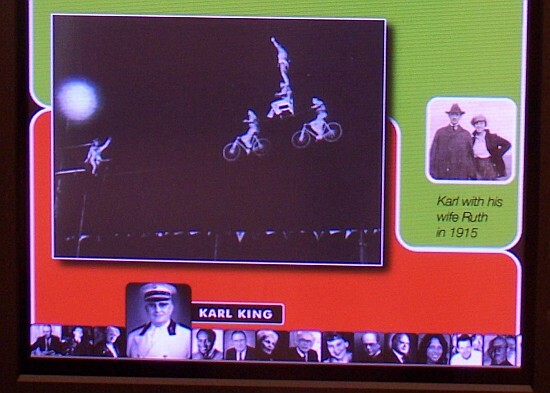 The static exhibits are then activated by dragging an electronic magnifying glass of sorts over the wall displays to activate the mobile displays. 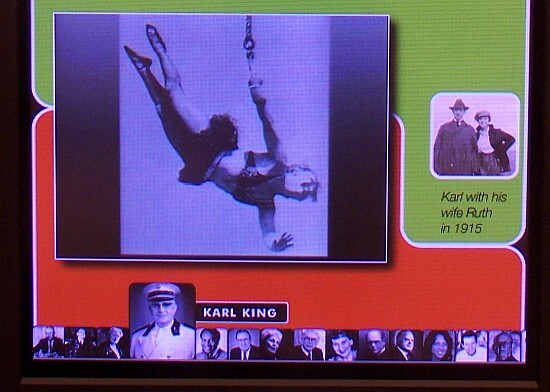 Experience a portion of the Karl King display from the Hall of Heroes.